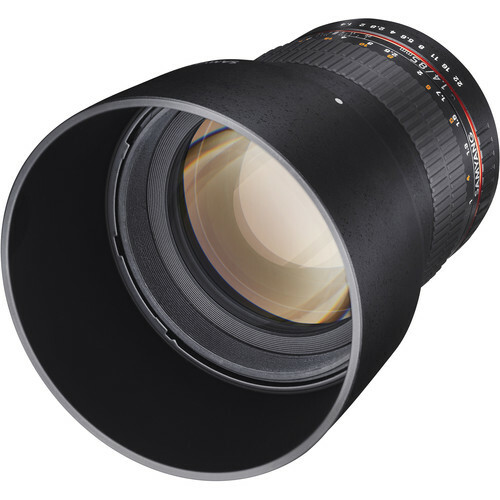 The Samyang 85mm f/1.4 Aspherical Lens for Canon gives you a medium telephoto field of view that's ideal for portraits. With a hybrid aspherical lens and multi-layer coating, you can produce sharply defined images with a minimum of flare and ghosting. The 85mm lens focuses as close as 3.3' (1.0 m). This lens is designed for use with full-frame film and digital cameras, but may also be used with cameras with APS-C sized sensors. This lens is designed for use with full-frame film and digital cameras, but may also be used with cameras with APS-C sized sensors. Box Dimensions (LxWxH) 9.9 x 5.6 x 4.5"
85mm f/1.4 Aspherical Lens for Canon is rated 4.1 out of 5 by 7. Rated 5 out of 5 by photo_chick from Great lens for a great price Awesome lens no matter which branded version you get. Especially at this price. Yes, it's all manual. I've seen a lot of people say that will limit it to shooting video but I strongly disagree. Photographers shot for a very long time without auto focus. It's not difficult to nail the focus once you get a feel for the lens. That said, if you live by your AF then you would probably hate this lens. The lens is built solid, is very sharp and has great contrast with very little CA. If you want Canon L series optical quality but have no hope of affording the L series 85 this may be a good lens for you. Rated 5 out of 5 by Ryan Marko from wow! I have a Canon 5D Mark II and use the 135mm f2.0 whenever I can. Indoors it's a bit long so I bought the 85mm 1.4. I knew before buying this that is was manual everything. Put the camera in live view in manual on auto ISO and it's does adjust the exposure for you. This lens is the best blend of optical quality and price out there. Because of that, it gets my 5 star rating. PS the lens I got does not look like the one in the picture above. It lens may have been updated because mine had a more modern look, it looks like a Canon L series lens. There is no gold paint at, all red and white. Rated 5 out of 5 by Columba Kos from Remarkable quality for an inexpensive lens. You get the sense that your average Canon engineer will (on the QT) use Samyang lenses. No autofocus, no auto-aperture. When you stop down the lens, what you see is what you get. The focusing ring is mechanical, so you don't have any sense of disconnection, when you engage focus. How it should be? But, there's more: Lenses from Samyang are fast: F 1.4 is a very fast lens. Coupled with the obvious quality of the optics, you won't be disappointed. You may also discover extended battery life, as the camera does not power any lens functions. All told? A refreshing rediscovery about what photography is all about. Get away from autofocus, and embrace the art in all of its dimensions, including manual selection of focus and aperture. Rated 4 out of 5 by Edge from Great Value Lens I use this lens for some portrait work as a photographer but mainly i use it for film! For me, this is where it shines. Its fully manual so dont expect any auto focus for it! I love how smooth the focus ring is, its quite stiff which makes for some good pull focus shots when filming. Build quality is great, not what you would expect from something in this price range its solid and quite heavy (in a good way). For any budding photographer or indi film maker this is a great little lens! Rated 1 out of 5 by poundsphoto from Disliked I bought this because of the manual settings, yet when the picture appeared sharp through the lens, it was anything but after shooting. is this lens at all water proof, like the font element, or not at all? will it work with a nikon d3200? This version of the Samyang 85mm f/1.4 lens has the Canon mount, so would not be compatible with the Nikon D3200. For the Nikon D3200, you would need to go with the Nikon mount 85mm f/1.4 (B&amp;H # SA8514NAE). Does this lens provide any focus confirmation when used on the Canon 6D? Thanks so much. is this compatible with the Nikon D5200? Does this have a cpu? Basically can I change aperature with the lens and camera body? nah , all manual . The Samyang 85mm f/1.4 Aspherical Lens for Canon would be compatible with the Canon 30D, and would be a great option for portraits. As for campaigns, that would really depend on what you are shooting and the aesthetic you are going for. Do keep in mind, that this lens is a manual focus lens. Would this lens be compatible with a Canon 60d? 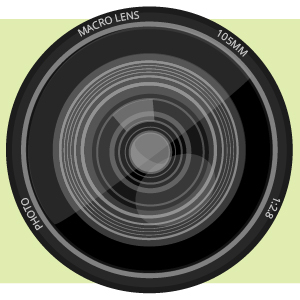 Yes, the lens is compatible with the Canon EOS 60D camera. Yes. Ive used it on a 77D and a 6D. Takes good pictures but remember is all manual.